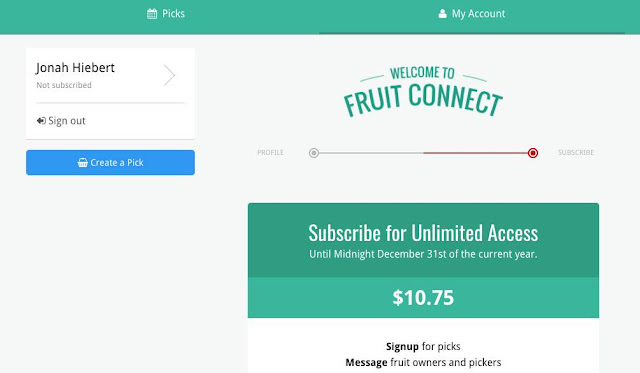 Fruit Owners can create picks on Fruit Connect by creating an account and then signing into Fruit Connect. Click the blue button on the left "Create a Pick." Fill out the form on the right of the screen to give the information about your pick. When picking a time and day for your pick, remember that most people are free evenings and weekends and would prefer to pick during daylight hours. If you would like a "Flexible Pick" then check that box. This indicates to perspective pickers that you are willing to have different pickers come at different times to pick your tree/plant. Exact day(s) and time(s) will be arranged between the fruit owner and picker by email. Read more about Flexible Picks here. Some pickers might prefer to choose a Flexible Pick because they might be better able to fit the pick into their schedule. Put in your location and add directions if you live in the country and picker might need extra information to find your house. Once you have filled in the form and check the appropriate boxes click "Create" to finish creating your pick. The finalized details will appear on the screen. You will receive an email about your pick once you have clicked create. An email notification will go out once a day to all paid subscribed Pickers, whenever a new pick has been created. 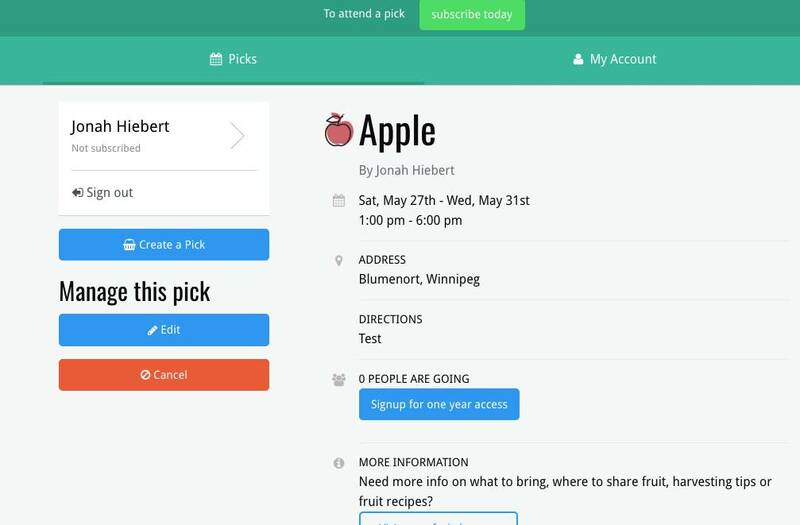 You will receive email notification when pickers have signed up for this pick enabling you to communicate with the Pickers by email. If you change details of the pick after pickers have signed up, they will receive email notification of your changes. For example: if it is raining and you would like to reschedule. It is recommended that you communicate with pickers before changing details about the pick as it might change their availability. An email will be sent out 24h hours before the pick to both the pickers and fruit owner as a reminder for the upcoming pick.